Not many people return from a sixteen-day safari (and 30 hour flight) to Africa and get a clear bill of health from the chiropractor. But I did! 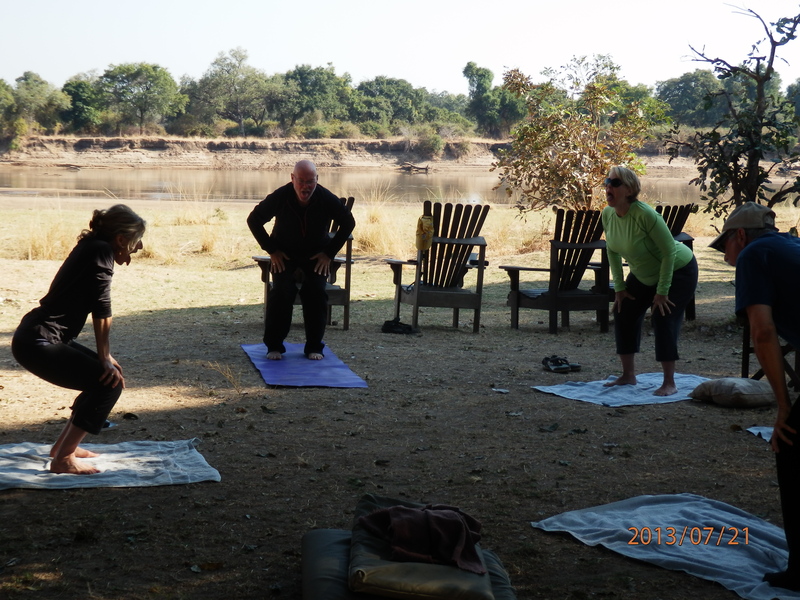 As the yoga teacher of the Open Heart safari, I integrate easy, restorative yoga into our schedule as an antidote to the happy but somewhat long hours spent in jeeps in pursuit of amazing wildlife. 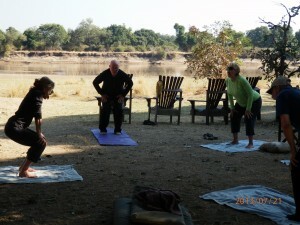 The yoga time is customized to individual needs. I always include poses that strengthen the legs and loosen the pelvis; and add poses that mimic the animals we’re seeing. 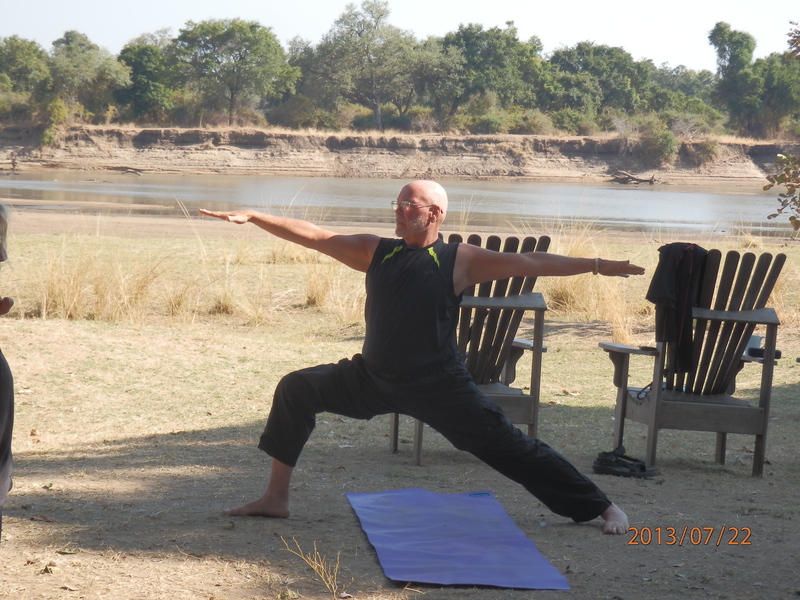 Warrior pose is perfect for getting us to connect to the land and our bodies. It reminds us that the wild animals have their feet firmly planted, which makes all the difference when they have to spring into action. Lion’s breath is a favorite for loosening the low back. It’s fun to let out a humorous guttural roar and get the chance to stick our tongues out at each other! We also do made-up poses: pretending we’re elephants walking with low hanging trunks, monkeys playfully squatting and then stealing something to eat, and giraffes standing with legs splayed slowing moving the neck to the ground’s surface to get a drink of water. Maybe next year we’ll create a series of safari poses!